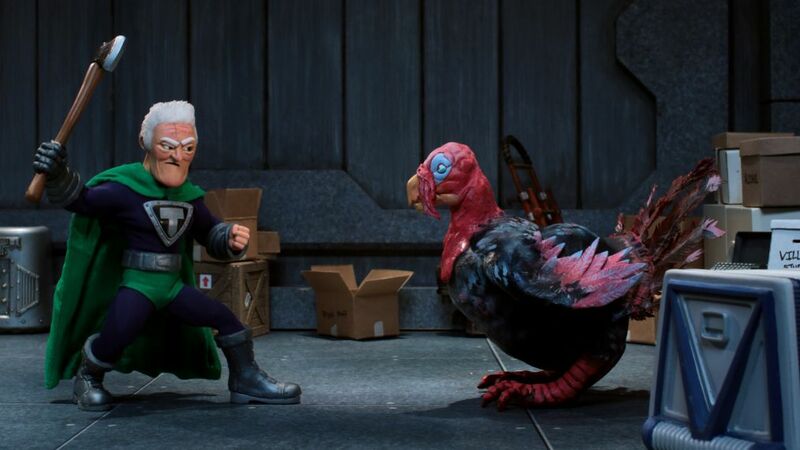 Sorry, Food Network, but the juiciest Thanksgiving feast is being served up by this stop-motion superhero comedy. In this stand-alone special, “A Prayer for Mr. T,” we learn that aging crime fighter Titanium Rex (voiced by Bryan Cranston) and evil foe Dr. Devizo (Chris Pine) have been engaged in a long-running “battle of the bird,” as Cranston puts it. Literally. Cranston hints that one chef’s recipe includes an illegal ingredient that dramatically plumps up the poultry. “There are chemicals that play an important part of this story,” says Cranston. And you know that is gonna ruffle some feathers!